Thank you for visiting! All images, video and noted music are COPYRIGHT protected 2018. Water and Landscapes and Animals! Some of these may be categorized as "Dreamscapes" ....well...maybe most of them anyway. 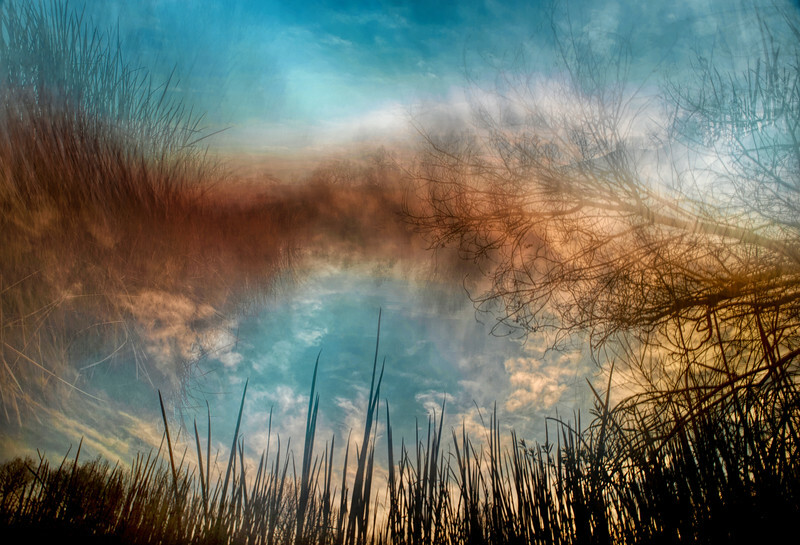 Sometimes crazy kooky ideas like moving the color of reeds into the sky may work. Understanding that it is also a layer of texture that may overwhlem the work needs to be considered as well. Several quick attempts may be required to get it "right" during the available light.